I don't know why the people doesn't comment this game, at less bring new ideas to the monotone msx world, also if you start to play in a dark room with headphones, you will get scare, i have found some bugs and with more time the game would be improved. What a surprise! The game has very simple graphics, simple engine, simple sound... but, even though, it creates an amazing atmosphere. I wonder how the game could be using a more realistic field of vision algorithm. Nevertheless, nice concept and nice playability. With some more details, it could become a very good game and, properly porting to a bigger format (32KB or 48KB) it could lead to a masterpiece. It's the first time i'm scared, playing at MSX! Really excellent game! It's very original, the atmosphere is really good recreated. As Jon have stated, it's fantastic the different sounds in every kind of terrain. And scaring when the terrorizer music plays. Slender!!! It quite innovative the idea of the battery getting empty and the torch. I need to play more and more this game. It's difficult to find something negative about this game! Well, just a minor point, I would enhance a little bit the manual. Ei! Thanks for your comments! They all are valuable and important for a games programmer. After unsuccessful attempts to present a game to previous editions I wanted to finish a game for this edition and I would depend few people as possible, even knowing my limitations as graphist. 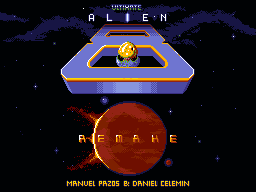 Lack of time and last minute problem testing it in my MSX2 make than remain some TODO's in my TODO list, with some minor bugs and not no review the manual, writing badly my nick at the end and not to agree the Slender sprite to @aorante . I know too the game it has not the professional look than others. It's something to improve. But with the cool music and efects that gave me @aorante (and the Slender sprite), I could program more or less the game I wanted. A game that I could play. Probably with a graphist and more time it could make a better game, but of unfinished games I have a few. I was sure how it would be the light management and that cannot pass the obstacles. But initially would be the moonlight (in fact, code variables and functions names are Moonlight prefixed yet) that was covered periodically by clouds and a fixed flashlight, and play with the darkness of tiles. But my skills as graphist where insufficient, and the MSX palette too (or not...). Then I took algorithms of moonlight to adapt to flashlight and I introduce the battery management. Other curiosity is that initally, you could see shaded points on the path you had visited, like a map, because I was afraid it was too easy to be lost by the small portion of map you can see. It was all programmed but the final look didn't convinced me. So, all commented in the code and some hours to "trash". Then I introduce the screen name to help to situate. It would be an interesting idea to make some thread of post mortems. I read someones and it could be valuable. I always find interesting to read about game coding (MSX specially). In fact, I enjoyed even the short postmortem you wrote Do you have screenshots of those preliminary versions? Are there any plans to release an enhanced version (bugfixes, maybe some of discarded variations as options, etc.)? @theNestruo Firstly I thought to document every step to make a post mortem. But finally for lack of time I didn't. Maybe there is some backup. If I finally have material I will do one. I'm not sure to release an enhanced version. I don't like (to my games, not the others) to version them. But I don't know. I'm thinking to release a version without bugs (yeahhh, as a professional programmer it's hard to say "without bugs"). its a completly new concept to me, thats good. But sometimes, I get a big frustated about the game speed, it becomes a bit boring because of that. BTW, the use of the sound is EXCELLENT.... that bass is really good.